Do you remember… the Amiga version of UFO: Enemy Unknown? 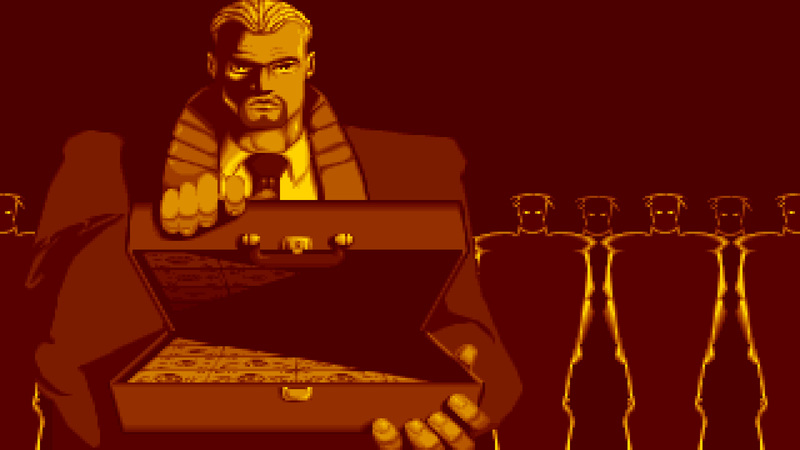 “Do you remember…” is a new (and probably highly sporadic) series where I whack on some rose-tinted specs and wax lyrical about specific aspects of the classic and not-so-classic games of yesteryear. 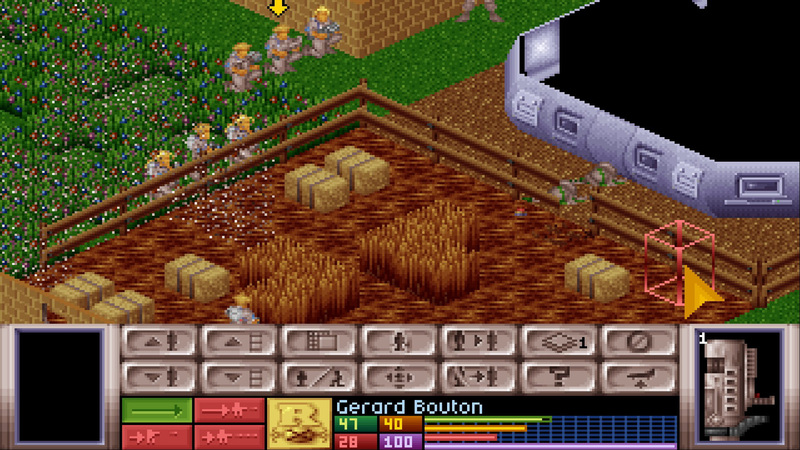 UFO: Enemy Unknown (or X-COM: UFO Defense outside of Europe) is easily one of my favourite games of all time. There can’t be too many others that I sunk more hours into during the Amiga era, except for possibly Frontier: Elite II or Civilization. Originally released by MicroProse in 1994 for PC and AGA Amigas (including the short-lived CD32), and ported to PlayStation and OCS Amigas in 1995, UFO is arguably one of the greatest strategy games ever made. Essentially a sequel to the brilliant Laser Squad (first released on ZX Spectrum in 1988), Julian Gollop hugely expanded on the turn-based combat and squad-level tactics of his previous game, adding in procedurally-generated maps and a long-term strategy element and narrative arc that features real-time resource management, base building and soldier progression. The player is placed in charge of a covert (and somewhat shady) global organisation that’s tasked with defending the Earth from nefarious and increasingly aggressive alien forces. You need to intercept and shoot down flying saucers, investigate landings and crash sites, and defend against terror attacks and base invasions – all while managing a tight budget, playing catch-up with regards to technology, and trying to keep governments from abandoning your cause and siding with the aliens. The scope and vision for this game were incredible for the time and has rarely been surpassed since. But, I digress. I’m actually here to talk about UFO: Enemy Unknown‘s music. The icing on the cake of this great game is the fabulously dark atmosphere. Of course, this owes much to the beautiful anime-inspired pixel art and the wonderfully subtle implication that X-COM is not really that much better than aliens they’re fighting (something that pervades many aspects of the game). But bringing it all together is the brilliant music. Curiously, each platform release features a vaguely similar yet rather distinct soundtrack, no doubt a consequence of hardware dissimilarities and being worked on by different people. The PC score was composed by John Broomhall, the Amiga versions by Matthew Simmonds (aka 4-Mat) and Allister Brimble did the one for PlayStation. Obviously, as an Amigan, I’m just a tad biased, but I do genuinely feel that the other composers didn’t quite nail the tense sci-fi vibe like Simmonds does on the AGA version (and I say that as a huge fan of Allister Brimble). Simmonds’ demoscene roots are obvious, as is the John Carpenter influence, but as with some of the alien designs, there’s also an appreciable nod to the B-movies of the 1950s and 60s. His score is mysterious, foreboding and on edge – especially the five-minute track that loops endlessly during the Geoscape gameplay. There’s that constant sense that something bad is about to happen, but you’re never quite sure what, when or where. He skilfully conveys the apparent hopelessness of the situation – mankind’s chances against a technologically superior race seem slim at best (it is a challenging game!). Then there’s the sudden rush when one of your fighters intercepts a flying saucer. It switches up to a metal-style riff with orchestral licks (obviously all done with samples). The music is fast, energetic and exciting. Finally, the chance to get your own back against the merciless alien intruders. Then it’s back to tension and anticipation with the pre-mission track that plays as you prepare to send your troops in to secure the crash site. Somewhat perplexingly, despite also being produced by Simmonds, the Amiga OCS port features an almost identical soundtrack to that of the PC version. Given that OCS and AGA Amigas had the same sound hardware, this seems a strange decision to me. Also, the AGA release is the only version not to feature music during the turn-based combat. It’s a glaring omission and one that detracts from what is otherwise, in my humble opinion, the best version of the game. I can only imagine this was down to time or memory constraints. Of course, if you were running UFO on a stock A1200, then the PC and PlayStation versions had a significant advantage in terms of speed (and the lack of constant disk swapping). Though this was not such an issue if you had a hard drive and/or a CPU expansion (I had both 😊); or, even better, an A4000. But with all three main versions featuring similar graphics, and with speed not being an issue if you’re running the game via emulation, it’s the AGA music that clinches the deal for me. And that’s why these days, it’s still the Amiga’s version of UFO: Enemy Unknown that I play from time to time (and yes I do own the PC version on Steam!). Another little interesting factoid for you: the graphically simpler Amiga OCS version came on five disks, whereas the AGA version came on just four – what was all that about then? Right, I’m off to set some cornfields ablaze and listen to the endlessly satisfying squeals of dying sectoids.